Beethoven Composed Music to His Heartbeat? 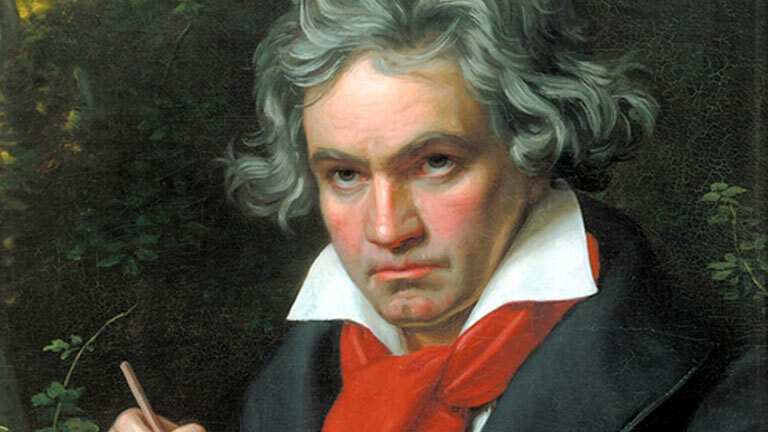 According to new research, Beethoven may have composed his masterpieces to his own irregular heartbeat. On today’s program of the 3 AM Egos, we discussed this article featured on the Huffington Post. The research, conducted by a cardiologist, musicologist and medical historian state that his music may have been affected by his irregular heartbeat due to the rhythmic changes. For example, the intense final movement of “Catavina” in Beethoven’s String Quartet in b flat major changes suddenly to c flat major, therefore creating a uneven rhythm. While all of us thought it was interesting, Kevin(host) and Sigmund( producer) wondered how research could prove this and I stated that while it is interesting, there is no concrete evidence that this was true due to the lack of medical facilities or tests back then.